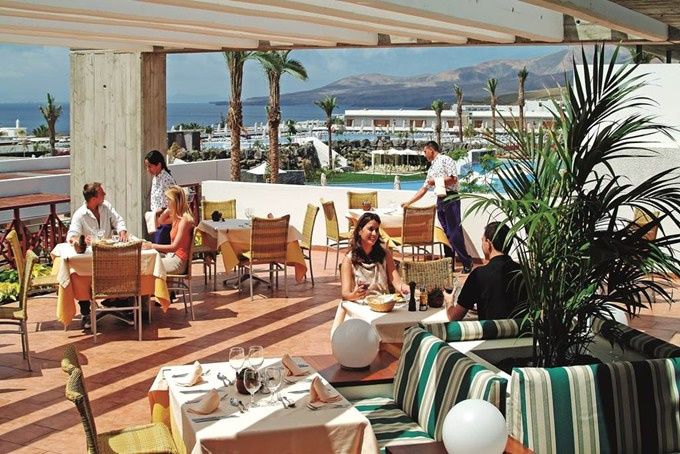 The 4 star Hotel Costa Calero Talaso & Spa is located right in the heart of Puerto Calero, the beaches of Puerto del Carmen are around 2 miles away and the airport is 8 miles from the hotel. Formerly called the Iberostar Costa Calero the hotel was built in 2004 with a style sympathetic to Lanzarote architecture. A striking feature of the hotel is its 20,000 square metres of tropical gardens in addition to the wonderful views out over the Atlantic ocean. This hotel will appeal to couples and families looking for a relaxing break in a hotel with plenty of amenities and pleasant tropical garden surroundings. The Costa Calero Hotel has 342 rooms divided into three buildings of between 1 and 5 floors these include 280 double rooms, 32 family rooms, 6 junior suites and 6 senior suites. The double rooms all have 2 single beds side by side, a balcony or terrace, and lovely views of the sea or gardens. 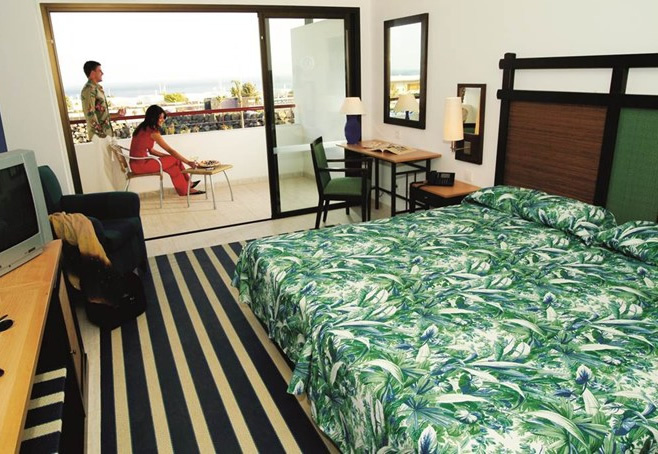 All rooms at the Costa Calero have air conditioning, satellite TV, telephone, mini-bar, safe and a spacious bathroom with shower, WC, hairdryer, shaving mirror and environmental towel change system. The board arrangements here are a choice of bed and breakfast half board or all inclusive (please check with us at the time of booking the facilities included in your all inclusive package). Meals are provided in the main restaurant 'La Magdalena' and lunch al fresco at the 'Oyanbre' restaurant. 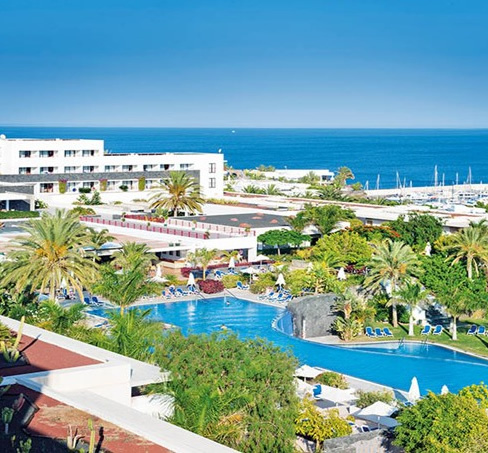 The hotel also has a pool bar, piano bar and the lounge bar 'La Magdalena', the venue for the hotels evening entertainment programme and live shows. 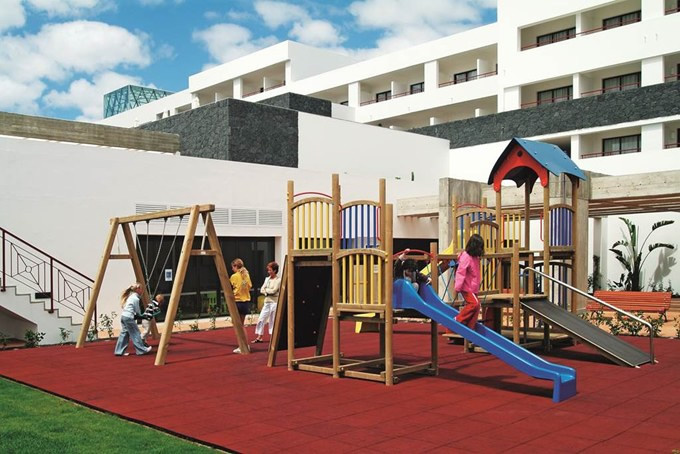 The Hotel Costa Calero has an animation team available to keep you and your family occupied both day and night, the entertainment team operate 6 days a week as do the mini-club for 4 years to 7 years old and the maxi-club for 8 to 12 years old. The hotel has 4 swimming pools, volley ball, French bowls, aerobics, pool aerobics, table tennis, darts, archery, air rifle shooting and shuffleboard. 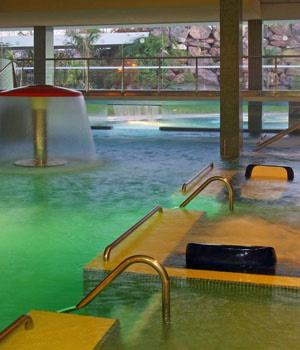 The hotel also has a fitness centre and a modern Thalasso therapy centre. The Thalasso Therapy Centre is available for guests at an additional charge, here the centre can provide treatment under medical supervision to aid relief with skin problems, muscles and bones, tiredness and stress, health problems and infections. There is a Finnish sauna, Turkish bath, massage service and both seaweed and mud therapy. The personal pampering and relaxation on offer at the hotel is enhanced by the onsite hairdresser and beauty salon. Other facilities available from the hotel include; 24-hour reception and currency exchange, cyber cafe and WiFi areas giving free wireless connection for your devices.